There are two things that form the framework of my life. Family and story telling. Yesterday, both came together in an experience that has become deeply etched in my heart and soul. It all began a few years ago with a series of events unrelated to me or anyone I know, and an extraordinary storytelling journey. 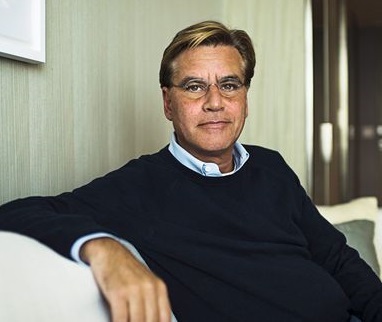 A celebrated screenwriter/playwright by the name of Aaron Sorkin decided the time had come to breathe new life into a book that had long been his favorite—-his and most every American’s——To Kill A Mockingbird. The award-winning writer further decreed that this update should take the form of a play, to be performed in the mecca of live theater, New York City. To that he added a production crew and cast of both talent and renown, including lead actor, Jeff Daniels, a man whose career has been strongly defined by his performance partnership with Sorkin. The play officially opened at The Schubert Theater on December 13, 2018 to reviews and acclaim accorded only the most legendary of performances. This is where the family part of my story comes in. Among her many skills, my daughter is an educator with a master’s degree in, and love of, English. From her high school reading-list-days through to her adult book club experiences, my child has treasured Harper Lee and her acclaimed Mockingbird novel. She has also worshiped at the altar of Aaron Sorkin’s fast-paced and intricately woven television productions of Sports Night, The West Wing, Studio 60 on the Sunset Strip and The Newsroom. That pretty much explains why when stories began to surface about a Mockingbird/Sorkin union, my daughter was on a mission to get both of us to Manhattan to experience the resulting play. A few shared emails among family and friends and my book /theater-loving goddaughter and her sister decided to join our Mockingbird journey as well. As plans for our girls day in New York evolved, we sandwiched a full menu of Big Apple experiences around our Schubert Theater main course, causing the focal point of our trip to shift from solely theater to experiencing Manhattan together. As the appointed day arrived, the four of us jumped fully into the energetic vibe of Manhattan. Conversation, laughter, great food and drink became the order of our morning until finally it was time to claim our matinee, mezzanine seats. It was at this point that we lost any semblance of control over our day, as Aaron Sorkin, Jeff Daniels and the remarkable Mockingbird cast transported us into early 1930’s Maycomb, Alabama. For two-and-a-half hours, we sat mesmerized by the fast-paced dialogue that generated surprising laughter, outspoken reactions and uncontrollable tears on our part, as well as among the almost 1,500 audience members around us. Jeff Daniels perfectly performed his role with the strength of character and softer nuances required of the story’s “white knight,” Atticus Finch. The cast surrounding him were equally perfect in every way. It was as if Sorkin had magically summoned each one of them from the very words he gave them to speak. While individual praise is unfair to a cast of this accomplished level, no doubt Celia Keenan-Bolger (Finch’s daughter, Scout,) Gbenga Akinnagbe (accused murdered Tom Robinson), Dakin Matthews (Judge Taylor) and Richardson Jackson (Finch housekeeper, Calpurnia) drew strong audience reactions whenever they were onstage. As well, the atmosphere of Maycomb’s places and times were made real by the amazingly interchangable sets imagined by scenic designer, Miriam Buether. The thing is, we four women shared a reaction at the end of the play that was unlike any we had ever experienced. It came slowly, almost without warning, as the humor and entertaining dialogue Sorkin used to define the first act slowed and blended into the Harper Lee’s darker and more dramatic book moments, setting a second act that tore apart a community, scarred its families and devastated the Schubert Theater audience. Without fully realizing it, we were slowly plummeted into a black void of human cruelty, discrimination, hatred and violence until, at the final curtain, our minds were frozen in disbelief, our hearts bleeding in agony. When the stage was emptied and the seats around us vacant, the four of us remained... tears streaming, speechless, unable to move. Eventually we made our way to the main floor of the Schubert Theater and walked down one of the aisles to the stage. Again, the four of us stood, silently, reverentially, as if drawing closer to where the actors wove their magic might somehow help us understand the inhumanity of the 1930's American nation and its people….our nation, our people. Finally, we were slightly unceremoniously ushered out of the theater but not before stopping to purchase some Mockingbird souvenirs, including a poster that my goddaughter kindly bought for me as a gift. Before we took leave of the restaurant, we cleared away the dishes on our dining table and replaced them with my Mockingbird poster. At the top, I inscribed the day’s date. Then we passed the poster around so that each one of us could sign our names. I’m not sure why, but it was important that we marked the day in someway that would be lasting. A day when family and an extraordinary storytelling journey forever changed each one of us.